1. Preheat oven to 425 degrees Fahrenheit. 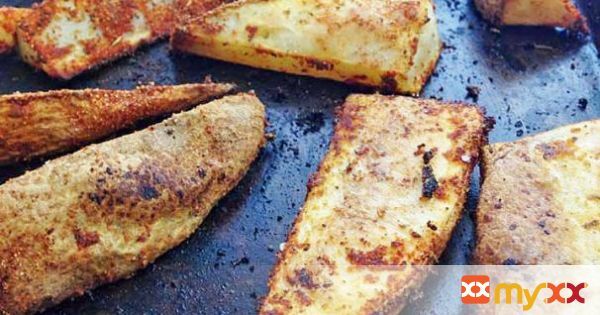 Slice potatoes into ½ inch thick wedges that are half the length of the potato. 2. Make spice mixture: combine all spices and mix together in a small bowl. 3. Spray cookie sheet with olive oil cooking spray. Place potatoes on cookie sheet. Toss with olive oil. Sprinkle spice mixture over potatoes and toss. 4. Cook for 25 minutes. Flip over and cook for another 5 minutes.